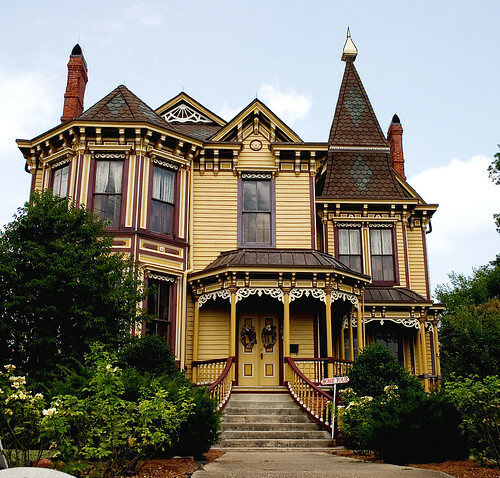 There is something about old houses that fascinates people. They have an almost inexplicable charm of their own, that we can’t help but fall in love with. Ask anyone who ever bought a distressed old house to restore and they will try to explain their investment by pointing to the richness of architectural details, the sturdiness of the construction, its historical value. Some will happily tell you about how they were on a budget, and what a great deal it was buying such a gem so cheap. They will happily tell you that when they put some work to it, the property value will soar. But the truth is that buying an old house is, for the most part, an emotional choice and, restoring it is a labor of love. One of the main problems homeowners face when restoring old houses, are the chronically wet basements. Since basements are buried in wet ground, with materials that are porous (concrete, bricks, stone), the soil around the foundation walls needs to be kept as dry as possible, year round, to prevent basement leaks, basement floods and wet basement problems. - Keep gutters clean and in good working conditions. Install them if you don’t have any or upgrade old, rusty ones. Modern houses are built with french drains, which are perforated pipes buried by the footing, to provide adequate drainage. Old houses, on the other hand, may not have such systems in place. Because builders didn’t know back then what we know now, many of these houses have improper foundation drainage, and some have no drainage system in place at all. In addition, because conventional french drains tend to fail overtime, some houses have them but they are now clogged or collapsed. Installing or replacing a conventional french drain in an old house can be a hassle. You will need to dig out foundations, disturb the landscape and, if the house has a deck or a porch, it will need to be completely removed so that the french drain can be buried by the footing. In an old house, that can be specially challenging: the great wood used to build it as well as priceless antique embellishments can be damaged in the process. There are, however, modern alternatives to conventional french drains that can be installed with much less disruption and for a fraction of the cost: internal perimeter drainage systems. For the past 20 years, internal drainage systems have been using with success to stop basement leaks. They are installed by jack hammering a few inches of the basement floor, close to the wall and installing a drain tile that will intercept the ground water and divert it to a sump pump. Besides the easier installation, these systems can be fitted with service ports and will remain serviceable for the life of the structure, unlike conventional french drains. That is why good basement waterproofing companies offer Transferable Lifetime Warranties on their internal perimeter drainage systems. This is the best blog for all of us as we are working here for thigns on nsw-writers essay service and people are getting happy too about it. They can understand what we all need here.